Where I struggle with my writing is in scenery descriptions, but many writers struggle with writing dialogue. Conversations are where our characters become vulnerable, exposed, and perhaps too real. But knowing how to write a conversation will bring more color to your strengths in writing scenery descriptions and plot structuring. Below are some tips that I practice for my own craft on writing dialogue. Here’s a writing exercise for you. Go to an environment similar to the scene where you want your characters to converse. Listen in to the people talking around you and write the conversations word for word (and probably in shorthand) that capture your attention. Go back to your notes in your writing workspace and practice writing the dialogue in prose form. Perhaps the people you saw in this environment deserve a cameo in your story. Always carry a small notebook. That way you can capture any conversation that takes your attention when it happens. Then analyze it. Why were you compelled to writing this dialogue down? What enticed you? The words? The cadence? The subject matter? The emotional expression? The subtleties? You’ll hear this advice as a writer until the cows come home: read. Writers read to stay familiar with the form and flow of narration, and that includes words in quotations. What authors are strong at writing dialogue? Revisit their stories and scrutinize those pages. How does the author write a conversation? What is making this conversation convincing? Once you learn how to analyze dialogue in great stories, you can point out where dialogue doesn’t work in other stories. Why isn’t this conversation captivating? Remember these weaknesses when you work on writing your conversations. Take your writing out of prose form for this exercise. Write the scene in script format as if it were being performed on the stage–that means only writing down names and what they said. Keep action descriptions brief and don’t describe the setting—just write the conversation. By eliminating all the he-saids and she-saids, you can focus on what’s being said, how it’s being said, and what emotions shine through. Writing dialogue this way may just be for your rough draft, but you’ll be surprised how much you can bring back to your final prose draft. Your journal is a safe place to experiment with writing dialogue. Try to bring specific moments in your life to your journal and write a conversation down that happened recently. The dialogue doesn’t have to be accurate to the real event, but try to write it as if it were to appear in a story. How can you improve the dialogue? You may find many instances in your life worthy of appearing in your writing. Keep your characters in mind as you’re writing dialogue. Would your character say that? Why is your character saying that? How does your character feel when s/he says that? What is your character thinking while the other speaks? 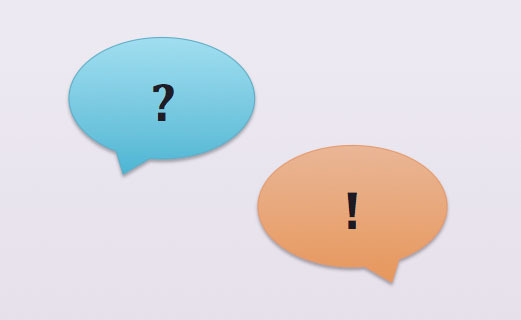 Write the conversation true to your character–and win readers with this honesty. Write it as a play… That’s a cool idea I hadn’t heard before. Good dialog has so many dimensions that it makes sense to strip it down to the essentials and build it up correctly. I thought these were my ideas! Been doing ’em for years, except the journal. The fun stuff sticks in my head but most conversations are too boring to bother writing down. I’ve written a few plays, so it’s almost automatic to use that format. Good way to slow down and focus. I have tried, but cannot write as a play. I just can’t get my head around that. However, I tend to write much dialogue interspersed with short and quick descriptions of action. After reviewing, I may or may not alter the descriptive passages. I almost never edit the dialogue. I have found, for me, that is, that dialogue drives the story for the most part and the action descriptors just kind of help things along. The journal thing is a very good idea. I would also recommend keeping old manuscripts that didn’t quite pan out. Sometimes the dialogue in a discarded manuscript may find a more fitting home in a new story, albeit in an edited form.